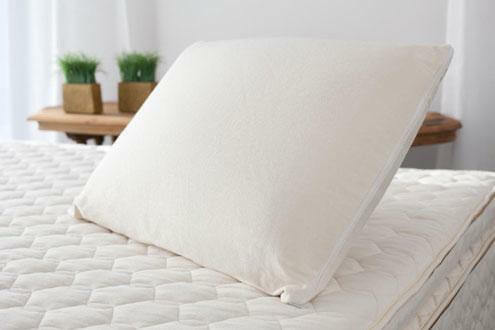 While most people have a tendency to focus on the mattress, there are others that say the pillow is the most important key to good sleep and proper support. The fact is the mattress and pillow complement each other and work together. 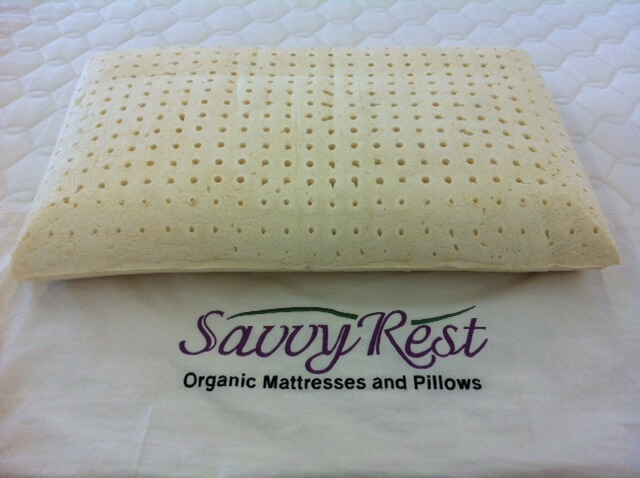 The Savvy Rest Organic Soap Shape is safe and will breathe off no harmful toxins because it is made from all natural latex rubber. 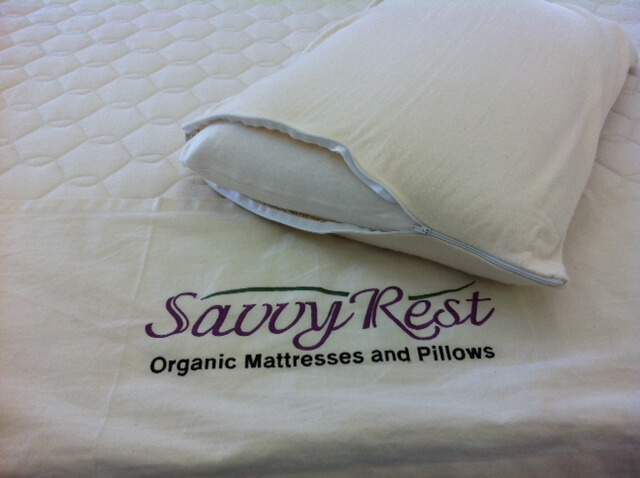 Perhaps you’ve been considering an organic mattress but it isn’t in budget at this time. This addition to a healthier sleep environment is an inexpensive beginning to a way of life that can be free of potentially harmful toxins. 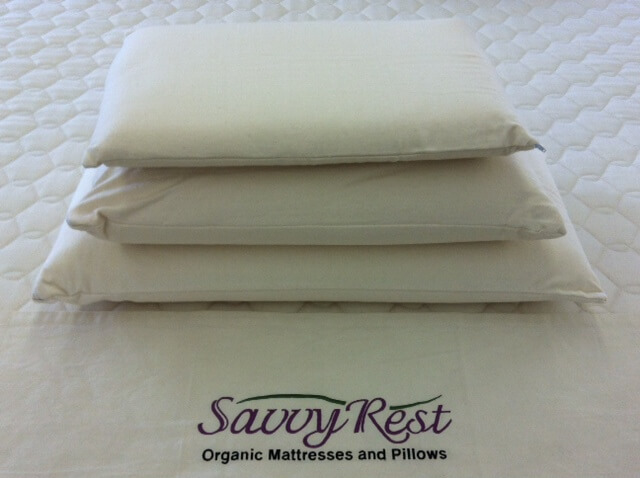 The luxurious pillow casing is made from only the best certified organic cotton and precisely shaped for maximum support using all natural dunlop rubber, the same material found in our best mattresses including our Tranquility, Serenity, and Unity Pillow Top Organic Mattresses. 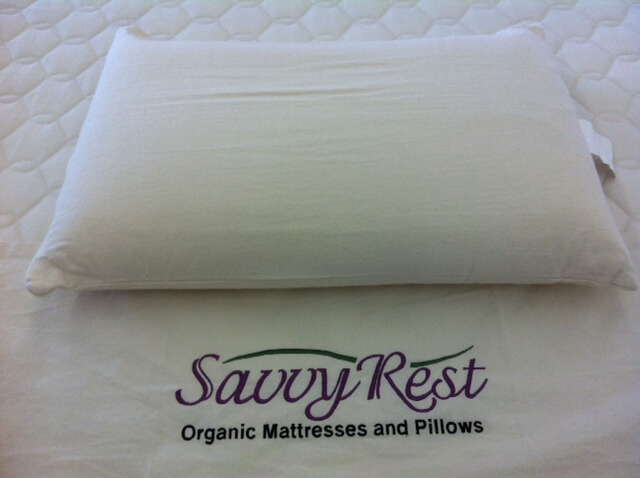 Our experience has shown that most of our customers who sleep on their stomachs have a tendency to prefer a smaller pillow like our Savvy Rest Organic Soap Shape Latex Pillow, while a few actually prefer no pillow at all.